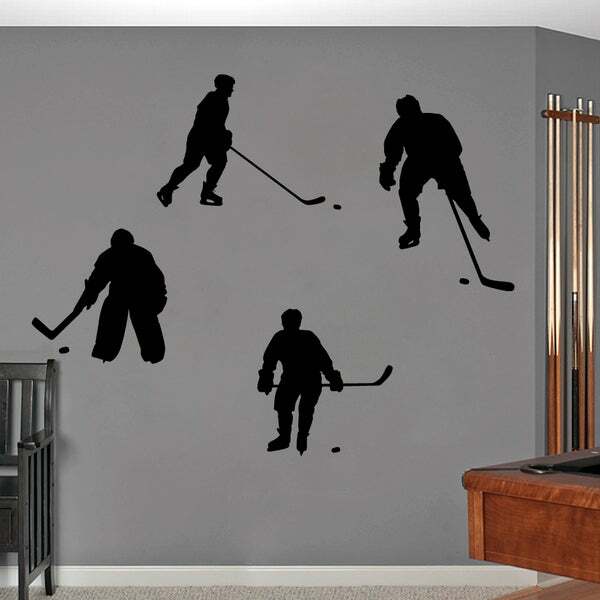 It's all about sports with this Hockey Players Wall Decal. These hockey players will go perfectly with the printed hockey gear set. Place this decal in a sports lover's room, kid's room, or even man cave. Select from one of the two sizes and many colors to complete your look. This wall decal measures tip to tip and can be applied to any smooth surface.